The colors seem to be a little off here. 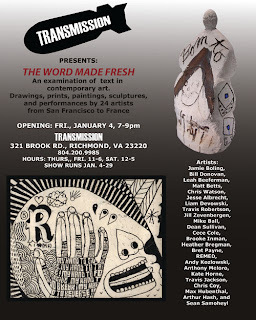 This show brings together 24 artists from all over the U.S. and one artist from France (REMED)! The opening is this Friday. There will be a puppet show by Sean Samoheyl around 7:30.